If, like many people, you’re struggling to decide which 8th generation console to purchase, then please read on. Listed below are 5 of the Xbox One’s key selling points and the reasons why they make the console special and unique. If you’ve got your heart well and truly set on the PS4 then this post probably isn’t for you, but if you’re on the fence, then the following points may put you firmly in Microsoft’s camp! By pre-ordering an Xbox One with Ace, you don’t have to pay anything up front. Simply wait for your statement to arrive and then choose to either pay in full or break up your payment into small manageable chunks. What better reason could there be to shop with Ace!? The basis of Snap Mode is to allow multiple applications to run side-by-side, in a similar manner to a laptop or tablet. No games console has ever attempted this before, which is what makes this such an interesting feature of the Xbox One. You’ll be able to play games while running other apps such as an Internet Browser or Skype. To achieve this, Microsoft have combined a state-of-the-art gaming operating system with a powerful Windows operating system, meaning there will be zero loss in performance no matter how many applications you are running. Dynamic living worlds evolve and improve the more you play. Your games stay in sync with the real world, meaning stats can be fed into your game, which is particularly useful for sports games. Plus, advanced artificial intelligence allows your friends to play against your shadow when you’re not even there. As well as providing advanced voice and gesture controls, the new Kinect sensor can also monitor your heartbeat, see in the dark, track wrist and shoulder movements, record 1080p video and much, much more. It will also automatically log you in whenever you enter a room and switch on whenever you say ‘Xbox One’. 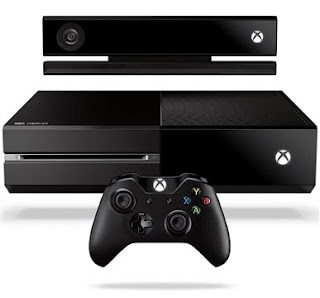 Every Xbox One ships with the new Kinect, meaning you don’t have to buy it separately. The Xbox One keeps a rolling record of your latest gameplay, enabling you to watch replays and then share them on social media sites such as Facebook and Twitter. This is particularly useful for showing off a spectacular goal on FIFA or an incredible kill on Call of Duty! You can check out replays of all your friends’ latest gameplay action too. For many people (including myself) the Halo series is one of the greatest franchises ever to grace the games console. Without an Xbox One, you simply will not be able to play the next game in the series, nor will you be able to watch the new Halo TV series which Steven Spielberg is set to produce. There are plenty of other incredible Xbox One exclusives available too, such as Forza Motorsport 5, Dead Rising 3 and Crimson Dragons.